News - Save Your Ears! If you club, perform music live or DJ regularly then your ears will be copping to some pretty harsh treatment, so there is nothing wussy about protecting your valuable hearing. If you have experienced ringing in your ears after a gig, then that is a sign you have pushed your ears too far. So what are the options? 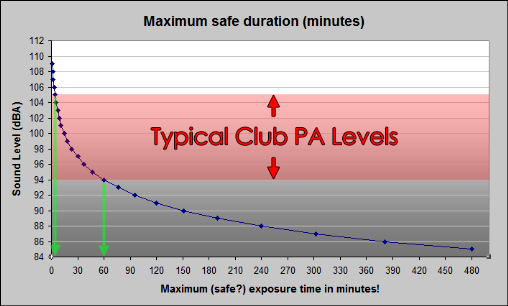 Typically you have between 2 minutes and 1 hour safe exposure time in a club! 1. 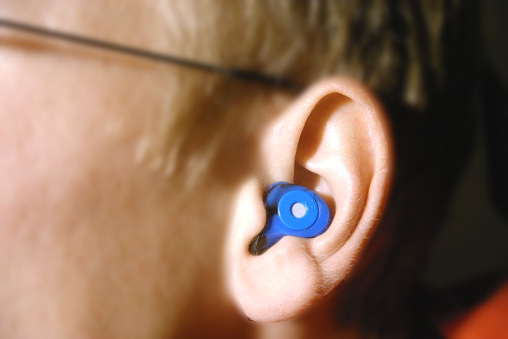 General purpose Noise Reduction: These will reduce the sound level by 22 - 33 dB and can be had for around 15 cents a pair, when purchased in bulk, and can be reused a couple of times. Throw some in your gig-bag, car or helicopter. The down-side is that if you need to make critical mix decisions then these will significantly skew the frequency response of the music to the low end. If you are mixing then you should look at the next two options. 2. 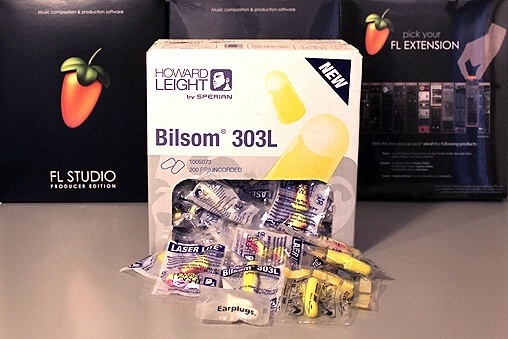 Special 'flat response' earplugs: These are designed to reduce the noise levels but do so with a relatively flat response. Rather than losing the highs as the foam style do. These cost between $10-20 USD for a few pairs and should last 6-12 months with heavy use (and regular cleaning). We especially like the skin tones and low profile of the EarPeace models as it encourages compliance & so wider use. NOTE: 'Musician' style earplugs may not block noise as effectively as standard NR earplugs, so take care and definitely don't use these for industrial NR purposes. 3. 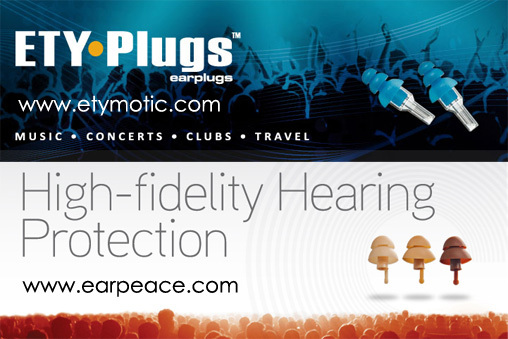 Custom moulded earplugs: These are popular with music professionals and include a soft silicone shell with a flat frequency response filter positioned in the best place for your ear. These cost around $100-200 not including the audiologist's fees for making an ear moulding. Your local audiologist will be able to recommend some brands to you. If you want to see an example Etymotic make these. They should last years with good care. 4. In-ear monitors: These are becoming very popular for stage performers as they block out the direct house sound and deliver a custom mix in your 'ear-bud' style headphones. A good set of these will set you back between $199 - $1500 USD. Respected brands include - Futuresonics, Ultimate Ears, Sennheiser & Shure. Like the NR style earplugs there is a hierarchy of standard fit to custom ear-moulded designs, explaining the rather large price range. IMPORTANT NOTE: Protection is only useful if it's used correctly in accordance with manufacturers instructions. All exposure times are indicative, please consult the recognized health authority in your location for the official safe sound level exposure charts. Use your brain and look after your most valuable asset, don't lose the beat! Want to discuss this topic see the 'Am I going deaf???' thread in Looptalk.